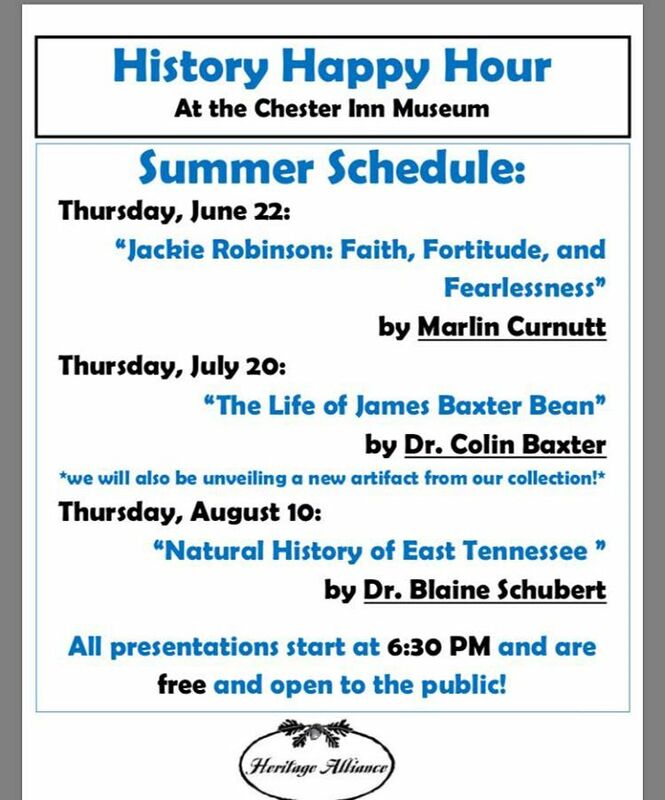 Make sure you check out History Happy Hour this summer at the Chester Inn State Historic Site and Museum. We’ve got a wide range of topics, from baseball to natural history and more! See the full, summer lineup below! Thursday Evening Town Tours Are Back! Jonesborough’s Historic Walking Tours are now available on Thursday evenings at 7:00 p.m.! Come and tour the Oldest Town in Tennessee during the cooler hours of the day. 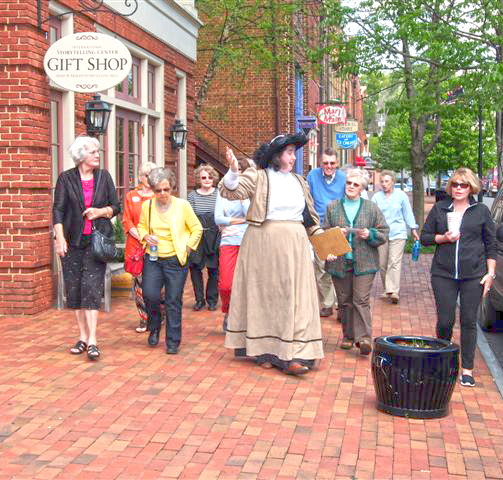 Costumed guides will lead you around Main Street, sharing the rich history of the buildings and the people who made their lives here. 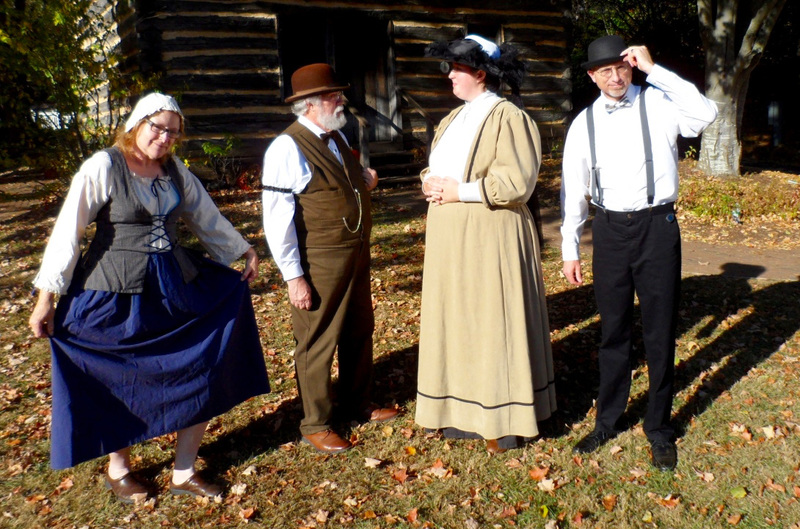 Historic Walking Tours are also available on Monday, Friday, and Saturday at 1:00 pm and on Sunday at 2:00 pm. Thursday evening tours will be available through the end of September. Guests can purchase their tickets, only $5.00 per person, directly at the Chester Inn State Historic Site and Museum on Main Street. 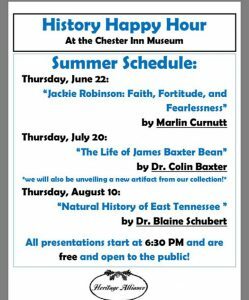 For more information, please contact the Heritage Alliance at 423.753.9580, or the Chester Inn Museum at 423.753.4580. To schedule a tour for a larger group, or another day/time, please contact the Heritage Alliance directly. For more information, please call our office at 423.753.9580, or contact the organization via email at info@heritageall.org. Additional information can also be found online at http://www.heritageall.org/.